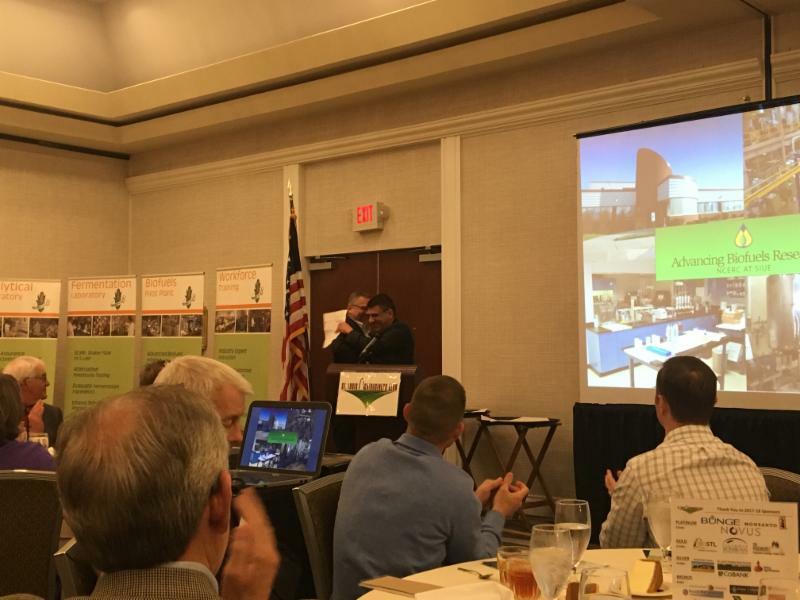 NCERC sponsored the March 2018 Agribusiness Club lunch meeting on March 27, 2018 at the DoubleTree by Hilton Hotel in Collinsville, IL. 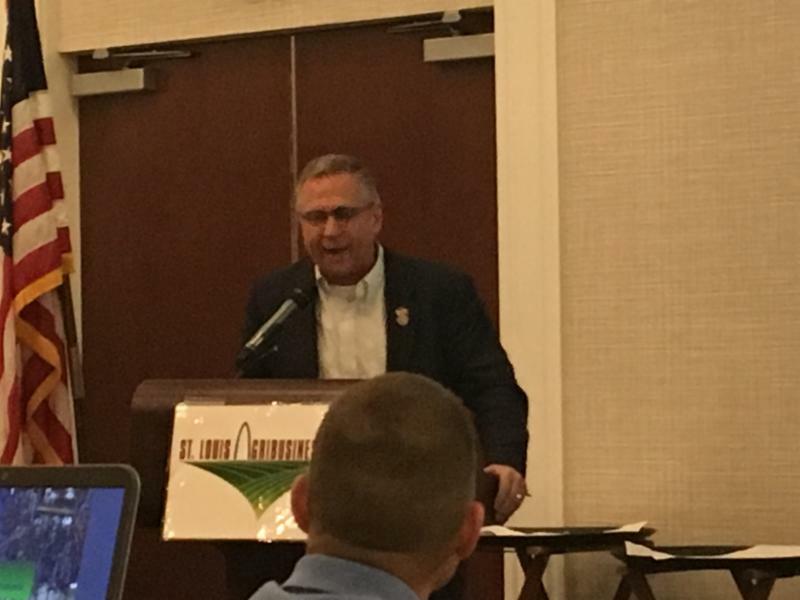 At the meeting, NCERC Executive Director, John Caupert, introduced the meeting's speaker, Congressman Mike Bost of IL District 12 who spoke on congressional initiatives relating to agriculture. Congressman Bost currently serves on seven subcommittees: Conservation & Forestry and General Farm Commodities & Risk Management of the Agriculture House Committee; Highway & Transit, Economic Development, Public Buildings, & Emergency Management, and Water Resources & Environment of the Transportation and Infrastructure House Committee; Disability Assistance & Memorial Affairs (Chairman) and Oversight and Investigations of the Veterans' Affairs House committees. NCERC began its final TAACCCT run which scaled up a 100L "one-pot" ionic liquid pretreatment on corn stover . The pretreated stover will be hydrolyzed using a commercial enzyme cocktail, and the hydrolysate will be fermented using a commercial yeast that is capable of converting C5 and C6 sugars into ethanol. The project posed a unique learning opportunity for students who participated in the run and worked in the NCERC Fermentation Suite. NCERC provided data obtained from the previous TAACCCT run at the pilot plant to support the ASTM E48 task group (in situ sample collection) on developing a guidance document for the management of the standard error associated with the sampling and testing of heterogeneous substrates. 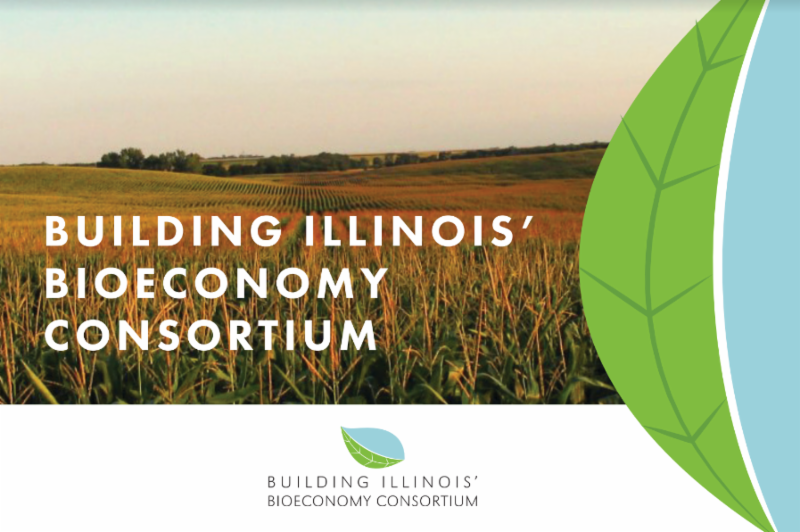 The Building Illinois' Bioeconomy (BIB) Consortium reaches its final month of programmatic activity and enters its reporting phase that will end in Fall 2018. The BIB Consortium was founded through a 2014 Trade Adjustment Assistance Community College Career Training (TAACCCT) grant that was awarded to NCERC at SIUE and four Illinois community colleges. The grant established and funded training programs in the bioeconomy sectors, including water quality and control, bioprocessing, restoration ecology, biofuels, and agricultural watershed, and provided additional training resources to underserved populations including laid off workers, veterans, and minorities. NCERC is hosting a series of badge trainings for students in the SIUE Chemistry Department every Friday from March 30 to May 11. Badging topics include "Good Lab/Manufacturing Practices", "Liquid Chromatography (HPLC)", Gas Chromatography", "Evaluation of GLP/GMP", "Evaluation of HPLC and GC", and will be taught by industry professionals and academics. On March 29, Hawthorne Strategy Group held a Building Illinois' Bioeconomy Consortium webinar for external stakeholders including government agencies and community-based organizations. The webinar provided an overview of the education and training programs that were developed as part of the BIB Consortium as well as advice on how to help raise awareness about such programs leading to bioeconomy careers. Also on March 29, the Council for Adult and Experiential Learning (CAEL) held a wrap-up session with all members of the Building Illinois' Bioeconomy Consortium, to discuss what has been accomplished in regards to Prior Learning Assessment (PLA) on the duration of the grant, and how PLA benefits the bioeconomy workforce. 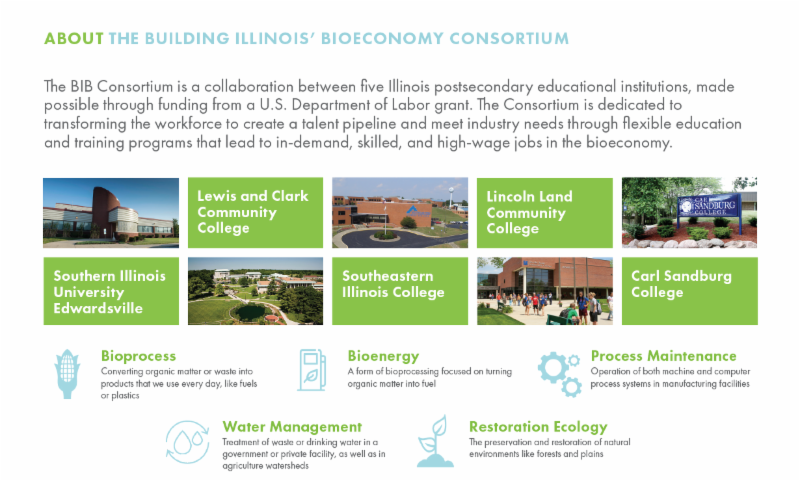 The Building Illinois' Bioeconomy Consortium has developed a brochure that tells the story of its programs and accomplishments. NCERC received f ull funding for its FY 2018 Meridian Society Awards proposal titled, "Solving the Equality Equation: Hands-On Workshop in STEM". The program will provide workshops that feature curriculum focused on biofuels, fermentation science, and clean energy for the Girl Scouts of Southern Illinois, and Coordinating Youth and Human Services' Educational Enhancement Program which serves at-risk youth in Madison and St. Clair County. NCERC collaborated with the Joint Bioenergy Institute (JBEI) and a private company to work on a p roposal related to Scale-up and optimization of "one-pot" ionic liquid (OPIL) pretreatment and ionic liquid recycle technologies. Dr. Diana Nastasia pictured here presenting at the 62nd Commission on the Status of Women (CSW) in New York City, NY on March 14, 2018. Dr. Diana Nastasia, a Faculty Fellow at the National Corn-to-Ethanol Research Center (NCERC) at Southern Illinois University Edwardsville (SIUE), presented her research on gender and the media at the United Nations’ (UN) 62 nd Commission on the Status of Women (CSW) in New York on Wednesday, March 14, 2018. At SIUE, Dr. Nastasia works on the project management team of the Building Illinois’ Bioeconomy Consortium, a U.S. Department of Labor grant that was awarded to SIUE in 2014 and provides education programs in the growing bioeconomy, with a focus on training underserved populations including laid off workers, veterans, and minorities. NCERC visited RFA office to discuss ASTM E48 task force related to flask fermentation method. NCERC staff and fellows attended a professional development event, hosted by the SIU Carbondale Agronomy Society, that featured Rodd Whitney, President and CEO of One Purpose People, as guest speaker. NCERC presented to older adults on the importance of the biofuels industry and NCERC activity. Where's ethanol going to go? A roundup of biofuels-related news & facts including a potential deal in Washington and other relevant topics. 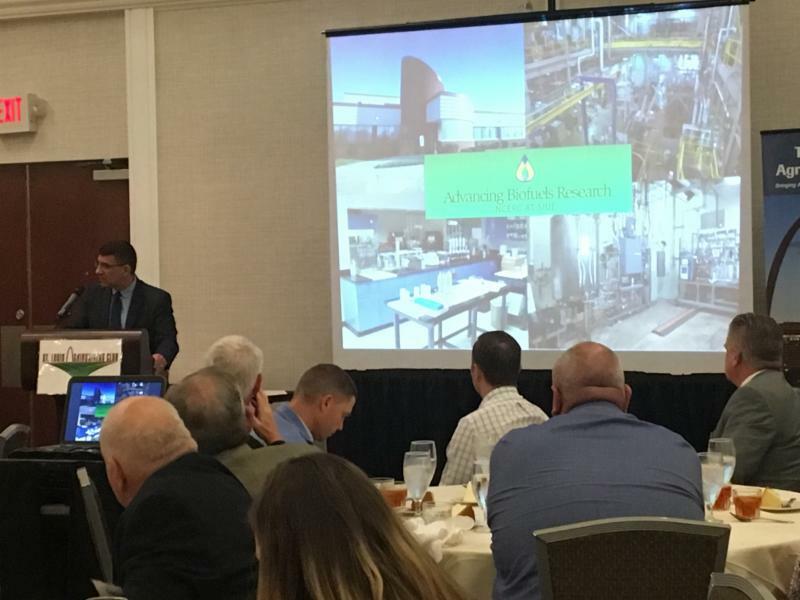 Bioethanol and Natural Resources: Substrates, Chemistry and Engineered Systems by University of Arkansas biologist, Ruben Michael Ceballos, outlines the opportunity presented by biofuels like ethanol in seeking alternatives to fossil fuels. It's only late March, but the House of Representatives has just 65 legislative days left this year to overcome issues surrounding the 2018 Farm Bill including the SNAP program and other social welfare programs. Bellwether stocks of the Advanced Bioeconomy report good vibes: shoulda put a ring on 'em? Two bellwether stocks, of Amyris and Renewable Energy Group, reported strong quarterly and annual results this past week, while Aemetis' stock has been gaining momentum in recent days as plans for their cellulosic ethanol production facility and India biodiesel FFA pretreatment plant upgrade is complete.